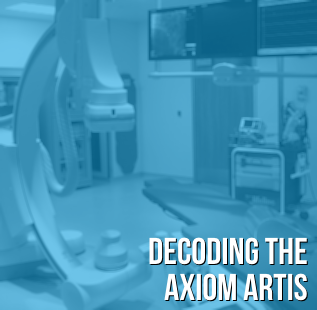 The Axiom Artis is one of the most prevalent product lines from Siemens in the interventional radiology category. One thing you’ll notice as you begin to look for information on the Axiom Artis is how many varieties it comes in: floor- mounted vs. ceiling-mounted vs. a combination of both, image intensifiers vs. detectors, single-plane vs. bi-plane. On top of that, there are numerous software configurations which will determine the kinds of studies each system is equipped to accommodate. To denote the configuration of each system, Siemens has developed a "code" consisting of eight letters. With so many feature combinations, however, the code leaves you with a lot of acronyms and, perhaps, less clarity than the folks at Siemens might have hoped. We’ve decoded the acronyms below to assist anyone perusing Siemens interventional suites to better understand which system is the right fit. 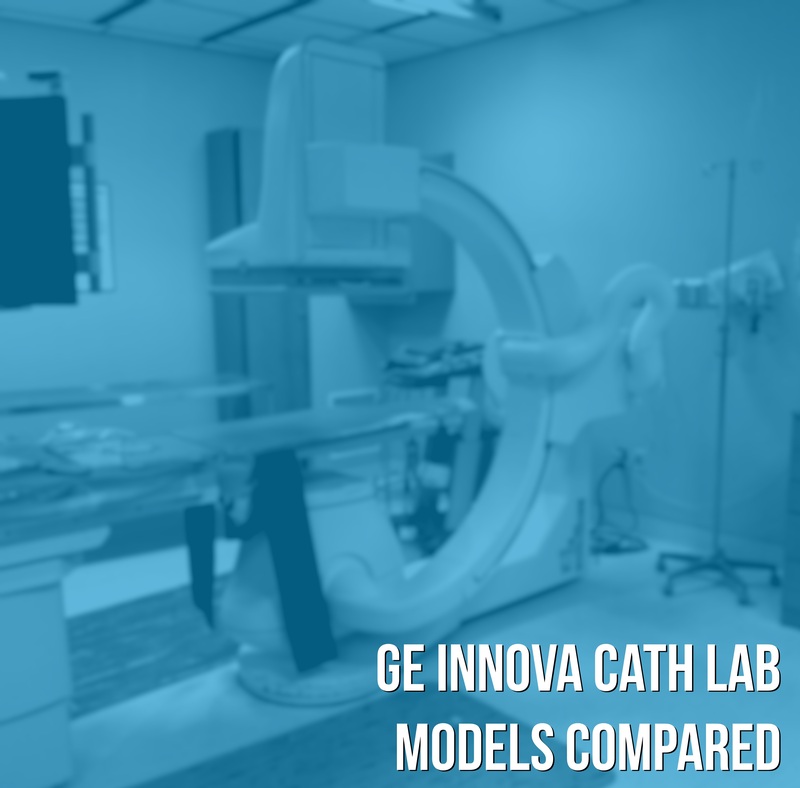 “It doesn’t take that long to install cath lab equipment, right?” My answer to this question would be that it probably takes longer than you think. Of all the modalities that Block Imaging works with, interventional lab installations are the most involved. 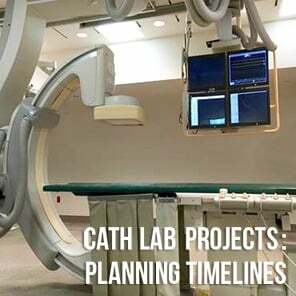 Between research, planning, construction, hardware, mechanics, and software/networking- the entire process of bringing a cath lab into a facility averages between six and twelve months, start to finish! 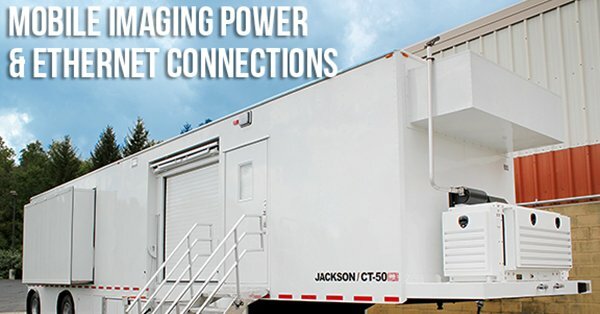 As you begin your interventional lab planning process, here are some very important things to consider. Proper room dimensions for a GE cath/angio lab is a topic of frequent discussion here in the Block Imaging project management department. We’ve been asked so many times, by so many people that several of us got the dimensions tattooed on our forearms for quick reference. Later, in a deep fit of tattoo regret, we decided it would have been a better idea to simply post them on our blog- hence, the post you are reading right now. 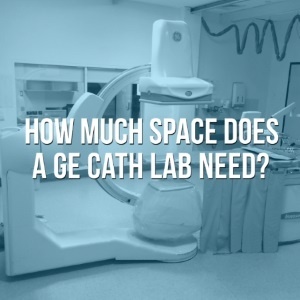 If you are considering the purchase of a GE cath lab, you’ll want to check the size of the room you plan to have it installed in against the OEM recommendations in the table below. These recommendations are guidelines, not firm rules, but they can help you begin to plan for your incoming lab.